Client: Friends of the Earth. 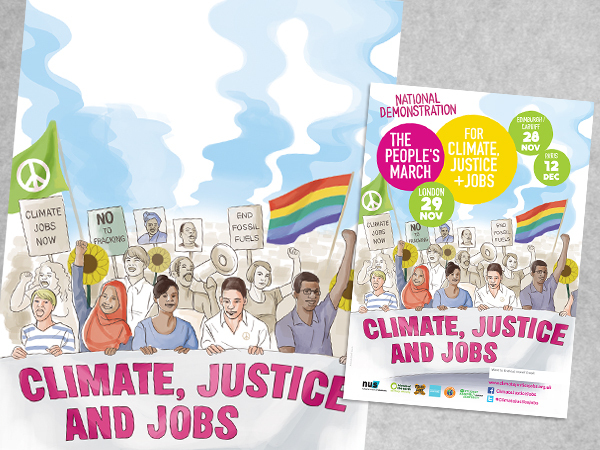 Friends of the Earth are joint organisers of a national climate demonstration and asked me to include a drawing in the poster design. This is a digital illustration, drawn with a graphics tablet.